NAG Projects is one of the best Real Estate Company in Bangalore, to buy lands, sites and Residential plots in Bangalore. The best example is our new NAG Grandville Residential project in Bangalore. This project ensures for best Property for sale in Bangalore. This Project is adjacent to many other Projects, off Bangalore - Hosur Highway. It is less than 40 minutes drive to Koramangala through elevated expressway. NAG Grandville is being developed by NAG PROJECTS PRIVATE LIMITED who have completed 32 acres of BMRDA approved project. 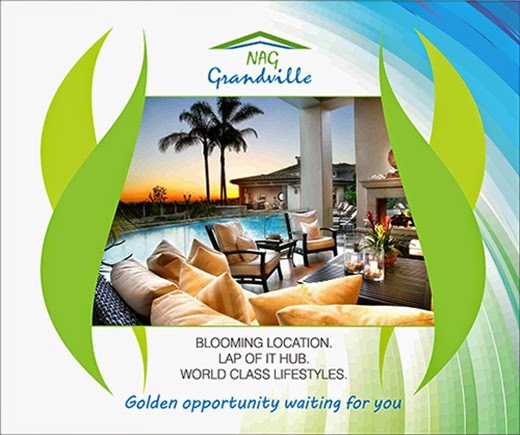 NAG Grandville is part of the popular Residential plots in Bangalore near Attibele - Anekal. Located at Attibelle - Anekal Road in Bangalore. It is in close proximity to popular landmarks in Bangalore like Karnataka Housing Board's Surya City, Narayana Hrudayala Hospital, Electronic City and various educational institutions. The Railway Station in Anekal is in close proximity from the project. The project is located in a pollution free surroundings away from the pollution and noise of the city which will have a soothing effect on one's mind at the end of the day.